Israel's Prime Minister Bibi Netanyahu yesterday spoke at the United Nations General Assembly in New York City. He was welcomed warmly by a delegation of US Jewry who applauded his speech and statements. The Prime Minister was welcomed by Chabad Rabbis Yosef Carlebach and Mendy Carlebach of New Jersey. 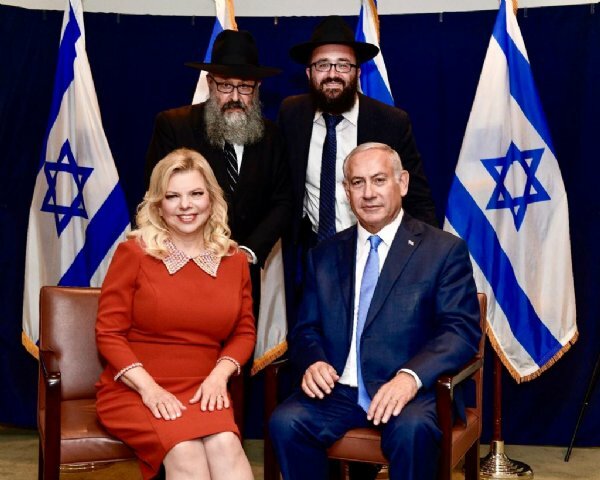 The Chabad Rabbis blessed Prime Minister and Mrs, Nentanyahu, and presented them with a "Special Dollar of the Lubavitcher Rebbe", Rabbi Menachem M. Schneerson. These dollars were received by Rabbi Yosef Carlebach from the Rebbe in 1993, and were now given as a continued blessing to the Prime Minister for his leadership role in ensuring the integrity of the Holy Land, and the continued security and safety of the Jewish people. 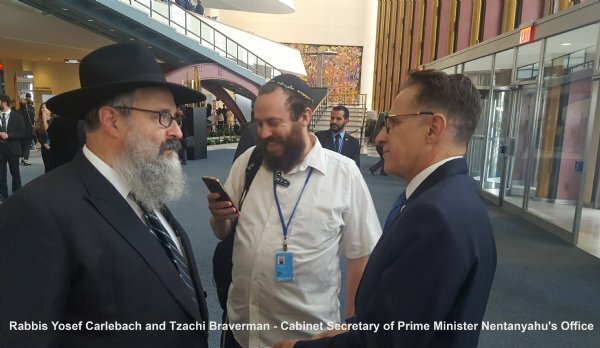 The Prime Minister thanked the rabbis and commented, "Ever since the beginning of my career, I have always been blessed by the guidance of the Rebbe". 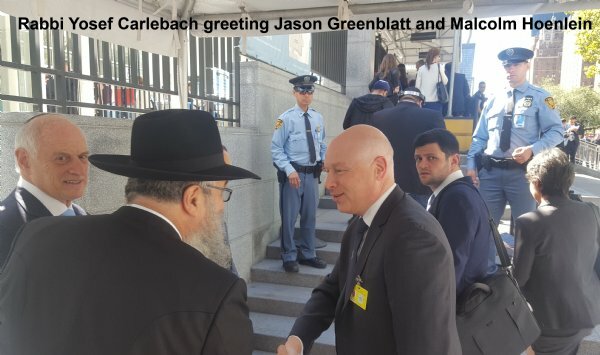 The Chabad Rabbis also met briefly with Mr. Jason Greenblatt - Senior Adviser to President Donald Trump, Danny Danon - Israeli Ambassador to the U.N., Dani Dayan - Consul General of Israel, Malcolm Hoenlein - Exec VP of the Conf. of Pres. 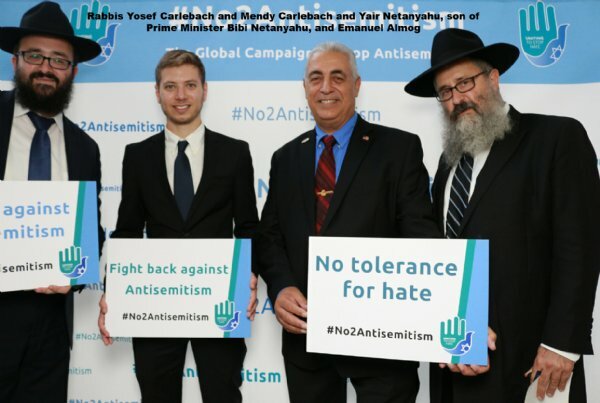 of Major Jewish Organizations, and many leading dignitaries from UN Delegations. 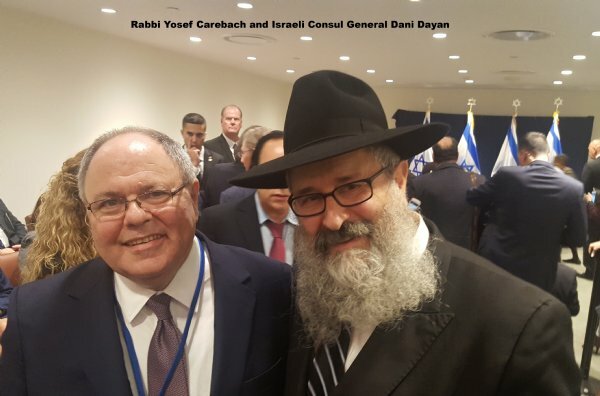 Rabbi Yosef Carlebach, of Chabad House at Rutgers, commented, "It is by Divine Providence that this UN international event, and our encounter takes place during the auspicious days of Sukkot. The Prime Minister again reminded us that the UN is still in need of much truth and light. This Sukkot Holiday represents a universal theme, and specifically the prayers of the Jewish People asking for a world of peace and harmony among all nations. May our Biblical prayers and prophecies be speedily fulfilled for the benefit of all mankind".